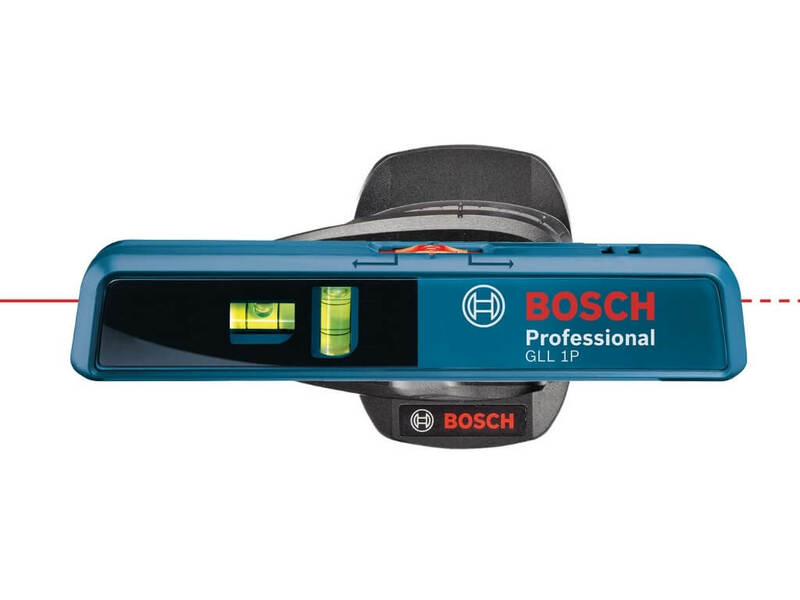 The Bosch GLL 1P Point Line Laser Level helps you find vertical, horizontal, plumb, and alignment. It projects a single laser beam up to 16 feet with 3/14-inch accuracy within 3 feet, as well as a laser point. Using the mounting plate, you can secure the line laser to point vertically, horizontally or at an angle. There are 2 built-in bubble vials for quick manual leveling and a 1/4-20 thread mount for attachment to tripods. 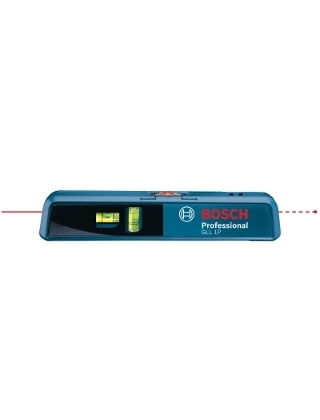 This handheld level from Bosch is ideal for pinpointing a specific spot or for leveling. It can be used to position picture groupings, appliances, and shelving. It also helps with angular alignment of stair rails, lighting arrangements, verifying plumb lines of cabinets or appliances as well as confirming the level of counters, partitions, and other horizontal surfaces.The GLL 1P pen level is small enough to carry with you in a pocket or pouch. You can store it in a toolbox, in a drawer, or in the glove compartment and, its lightweight design make it maneuverable for positioning. Dimensions	5.6" x 1.1" x 1.2"